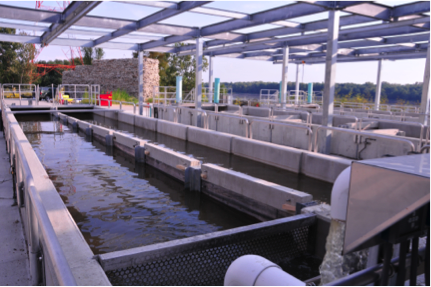 The National Great Rivers Research and Education Center (NGRREC) recently announced a number of developments to their water quality research programs. NGRREC is now accepting proposals for research projects, which can utilize mesocosms at the Confluence Field Station in East Alton, Illinois, a LEED gold field station situated on the banks of the Mississippi River between the confluences of the Missouri and Illinois Rivers. 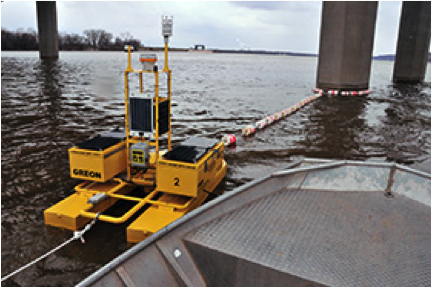 In addition, as part of their Great Rivers Ecological Observatory Network (GREON) project, NGRREC has partnered with USGS Upper Midwest Environmental Sciences Center to establish a network of water quality monitoring buoys in part of the Upper Mississippi River in Wisconsin. The GREON project aims to establish similar water quality monitoring networks in great rivers around the world.